Made from 304stainless steel for maximum corrosion resistance and durability. The tension can be adjusted by rotating the frame,to Increase or decrease tension. Used in many applications - marine - outdoor - wire riggings - catenary wire - rope tensioners, and so on. 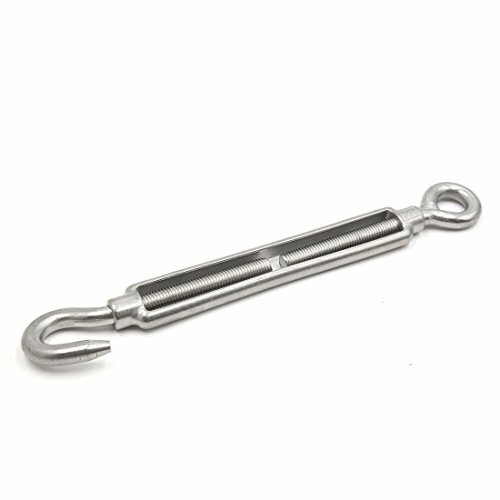 Thread Diameter: 12mm/0.47"(M12); Thread Length: 7.8cm / 3.1"
Eye Hole Diameter: 18mm / 0.71"; Hook Mouth Width: 20mm / 0.79"